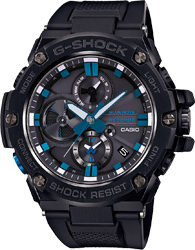 Introducing a collaboration model between G-SHOCK, the watch that continues to drive modern culture the world over, and the world famous jazz record label Blue Note Records. 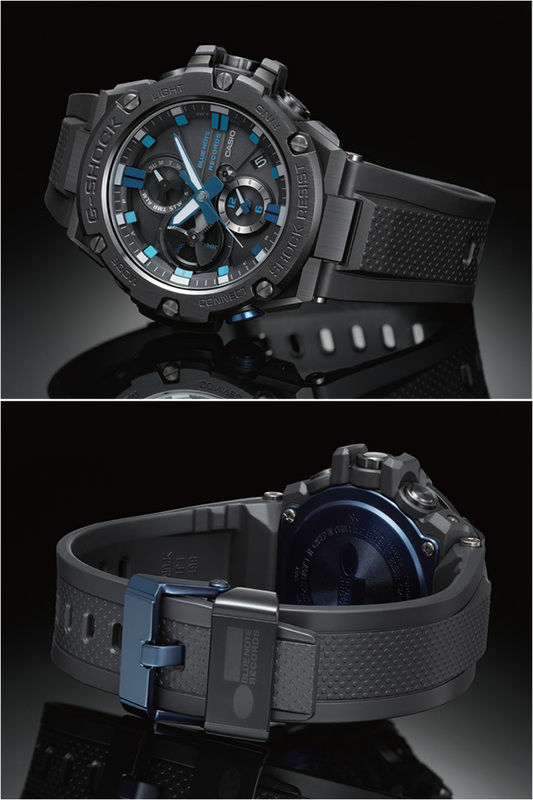 The base model is the Bluetooth® equipped G-STEEL GST-B100 chronograph. Chic basic black coloring is accented with the brand color of Blue Note Records, creating a perfect blend of two iconic world views. The back cover of this model is stamped with the Blue Note Records brand logo inside a design in the image of record grooves. A special package also features a distinctive Blue Note Records look. Blue Note Records was established as a jazz label in New York in 1939 when German immigrant founder Alfred Lion recorded boogie woogie pianists Albert Ammons and Meade Lux Lewis. Since then Blue Note Records has encompassed various types of jazz, maintaining a position as the most revered and historical jazz label in the world. It has recorded a wide range of wellknown musicians, and was a major innovator in both music and design.